A Bacon Costume including a tabard with sublimation Print only – Ideal for a comedy theme, Halloween, or any fancy dress occasion! 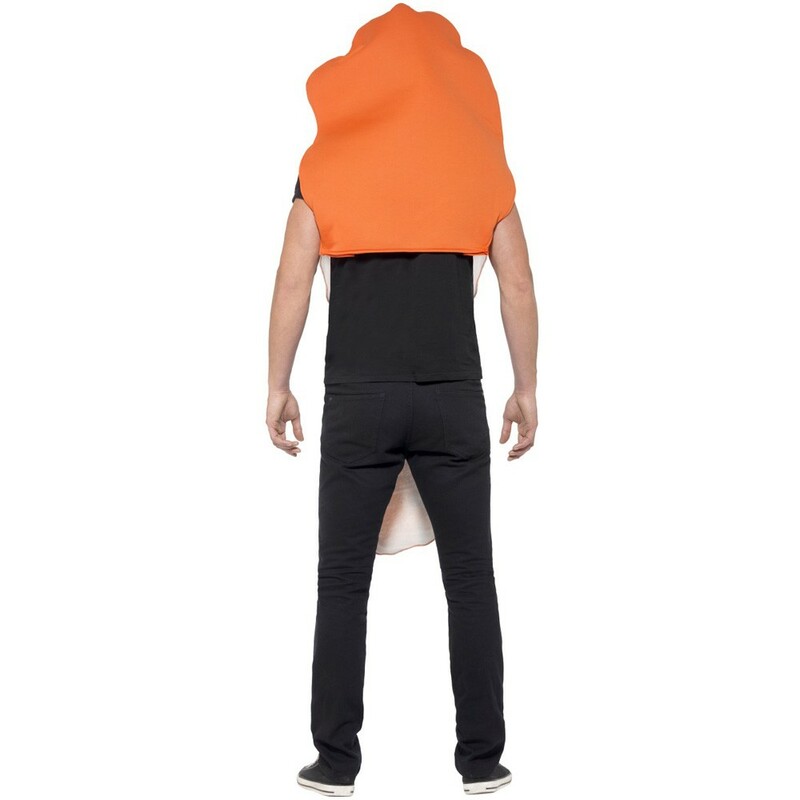 If you’re looking for a smoking costume then this Bacon Costume is perfect for you! This Bacon Costume comes complete including a Tabard with sublimation print only. 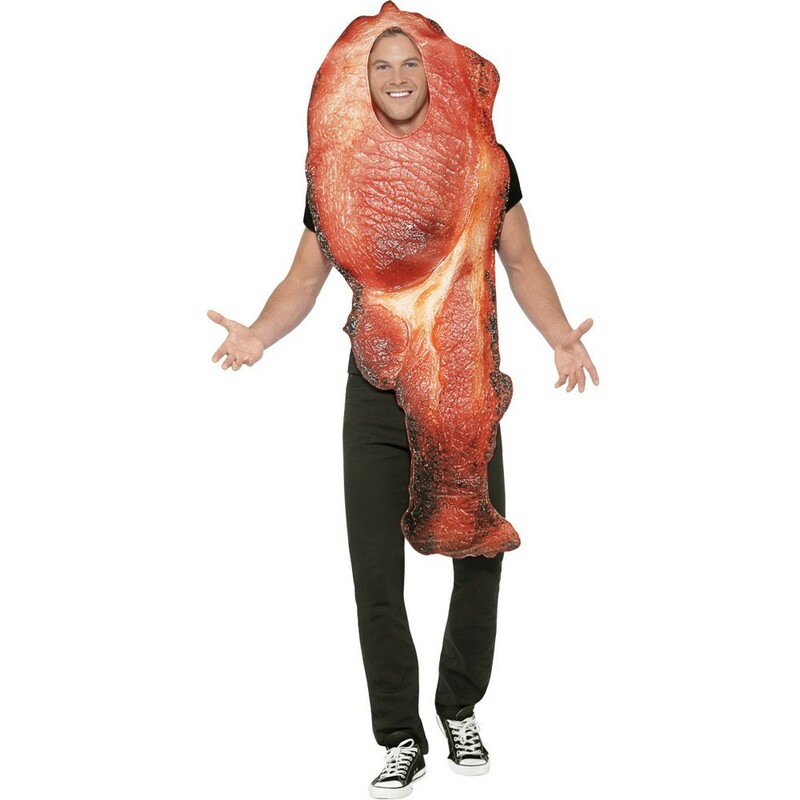 Grab this Bacon Costume for an instant sizzling costume no matter what the occasion! This Tabard features a sublimation bacon print for a realistic look, with a bacon shaped design complete with a cut out section for your face. 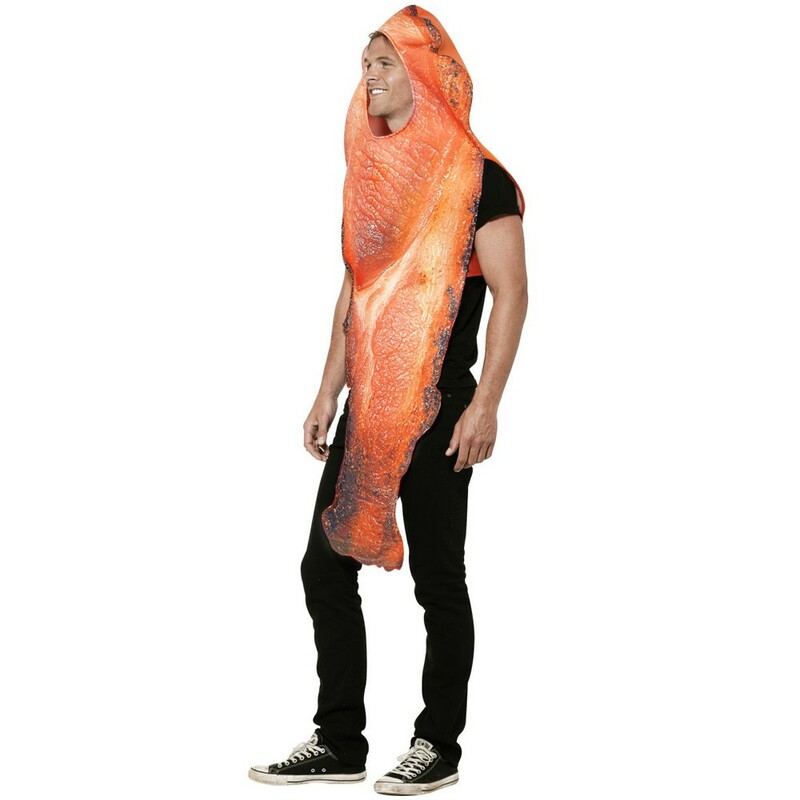 Perfect for a comedy theme, a couples theme, Halloween, or any fancy dress occasion, this Bacon Costume will be sure to go down a treat! So don’t get fried to a crisp but enjoy the party in this cracking Bacon Costume.